Are CA Exams Really Tough? Or It’s Just a Myth? 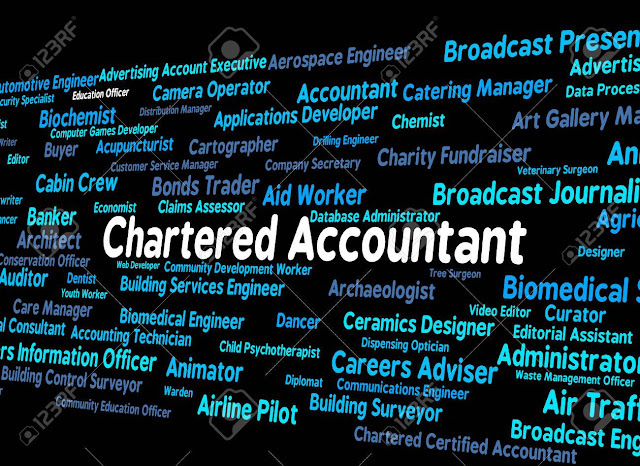 Lets know deeply about Chartered Accountants. Whats their qualification, their salary. What is the requirement for CA? CA in India. And what does CAs do. CA (Chartered Accountant) is among the highly rated professional courses of our country. It is believed that CA is a demanding career option and requires a lot of hard work and dedication. It is indeed a formidable course requiring your attention and commitment. But once you are determined nothing is impossible because impossible itself says I'm possible. A little of proper guidance and planning can do wonders. Students can earn a handsome amount in this career. The CA course is divided into 4 stages, in order to be a qualified CA you need to pass each stage then only you can move to the next level or stage. The first stage includes the entry-level examination into the CA course which is CA foundation, once you qualify this entrance level exam you will move to the next level, the intermediate course, after passing either-or both the groups of CA intermediate exam, register for 3-year practical training, after qualifying both the Groups of Intermediate Course register for the Final Course. CA Exam having being divided into stages take a minimum required amount of time for the whole process to get completed. So, from starting of the course until its completion you must have self-confidence and stay motivated. Most of the students wanting to opt CA as a career are in a little dilemma and looking at the low level of pass percentage have an obvious question their mind that, Are CA Exams Really Tough? Well, the answer to this question is not that simple and straightforward. There are certain things of which if you can take care of you can get a sure shot success in this field. Before starting the preparation for CA exam make sure you have gone through the complete syllabus of the CA course. You can get all the required detail and syllabus of this course from ICAI official website. Once you are familiar with the complete exam pattern you can start your preparation accordingly. It is a myth that this exam is not for the average or below average student, irrespective of what you have scored in your 10th or 12th you can still pass this exam with flying colors. All you need to do is have a plan and strategize your studies, divide the time for each subject wisely by realizing your weak and strong points. Study on a regular basis, study ICAI matter wisely, do a lot of practice and for regular practice, you can take mock tests. These mock tests will help in the improvement of your writing skills and will even increase your writing speed which is going to be immensely helpful when you will be sitting in the examination hall and be having a race against time ,it is the best form of revision you can do and if you do it on a regular basis it will save you from the panic attacks you are likely to experience during the exam time. Most of the students who are not able to qualify this exam is because of lack of proper guidance. If you are able to get the proper guidance you will be able to qualify this comfortably. This course requires a huge time commitment, so you have to keep your self motivated throughout the journey. Do not compare your way of preparation with that of your friends who are indulged in the same course because what may work for them may not work for you. So never compare yourself with others just have confidence in your abilities and work accordingly. Now a question comes that which institute to join for Best CA coaching in India or relay completely on self-study? Well, the main objective that the coaching institutes fulfill is that they provide guidance which is a prerequisite for CA preparation, but simply joining a coaching institute does not guarantee that you are being guided in the best way possible, there are also chances of getting misguided. So before joining any coaching institute, it is better to know about their previous results and toppers they have produced. Now the second option you have is of self-study, if you have someone who can provide you with proper guidance as most of the subjects in CA course require you to conceptually understand the topic, so if you have this approach then self-study is probably the most important aspect of CA course and which can actually make or break your overall result. So, there is no direct answer to the question of whether CA Exams are really tough or not. It depends upon a lot of factors, it can be easy for some and difficult for others. The level of the difficulty of this Course depends upon the following factors. Take all these points into cognizance and than plan your strategy. Know World Now: Are CA Exams Really Tough? Or It’s Just a Myth?